This is a 92 mile loop with 7.871 feet of climbing that goes through some beautiful and varied country, with good climbs on each segment. 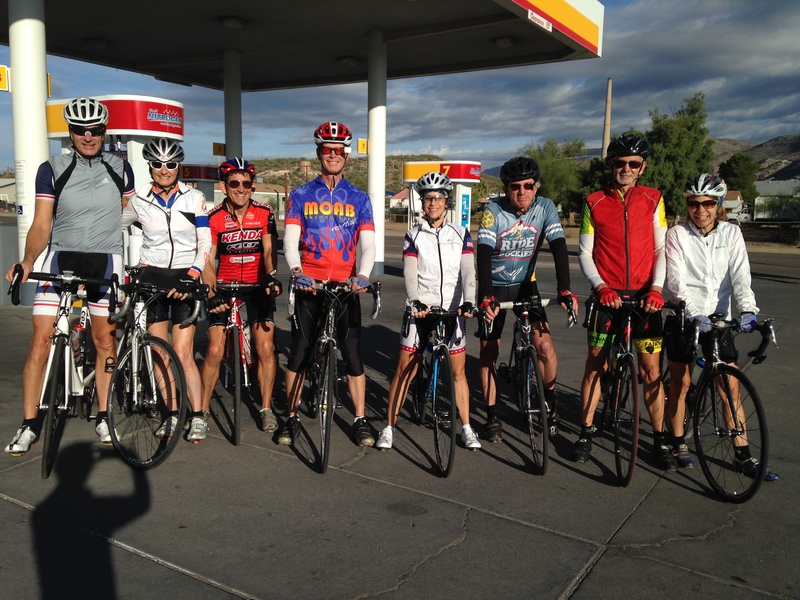 It’s done annually as a Phoenix Metro Bicycle Club ride, called the Mining Country Challenge, starting in Superior, but since we drove up from Tucson, we started in Winkelman. It’s called the Mining Country challenge because it goes through a lot of mining country – copper mining in particular. Some of the mines are still in operation but others are almost dormant. Segment 1 – 32 miles. Head northwest out of Winkelman along Highway 177 to Superior. After much rolling country you will go past the enormous Ray copper mine on the right. Shortly after the mine the road rears up steeply with grades of 10% and 11%. A short steep descent follows, then another longer, steeper climb. You can see this next ascent from the top of the descent and it looks beautiful and daunting. However, the whole climb is only about 1.5 miles. The top of the climb is known as End of the World. Another steep descent leads to rolling terrain into the small town of Superior. Segment 2 – 24 miles. As soon as you get to the outskirts of Superior, take the right hand turn onto Highway 60. You now have a steady 8 mile climb to Top of the World, passing through some dramatic rock formations. The road goes uphill through the Queen Creek tunnel for maybe 400 yards, and although the tunnel has two lanes uphill (one lane downhill) and overhead lights, it’s worth having a rear light on your bike. After Top of the World there are some good descents and rolling country until you get down to the once-boomtown of Miami. From this almost-ghost-town you’ll go through Claypool and onto the relative metropolis of Globe. Segment 3 – 36 miles. From Globe, head a few miles east on Highway 70 then turn south on Highway 77 toward Winkelman. 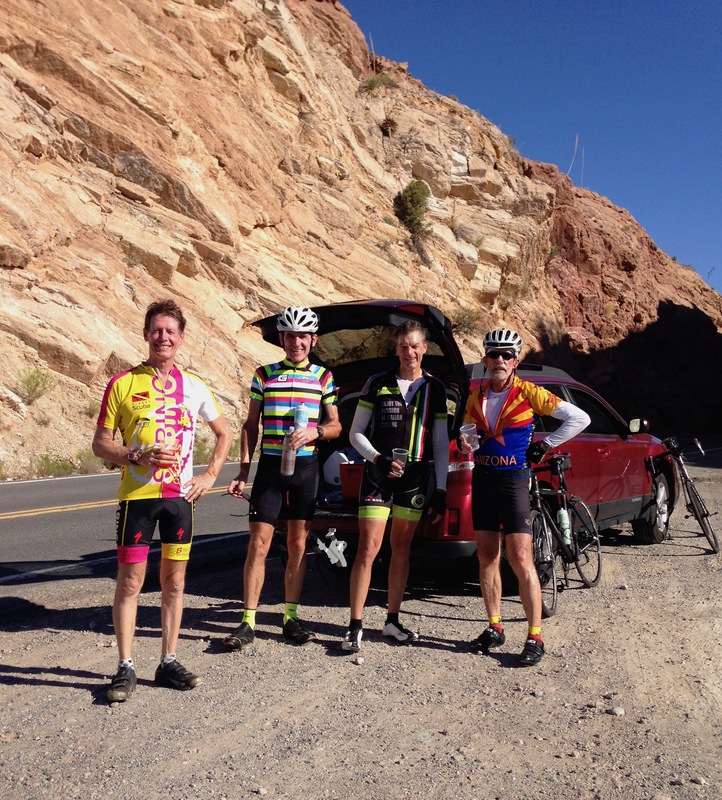 Some rolling and gently uphill terrain lead to the base of a 5 mile climb to Pinal Pass. 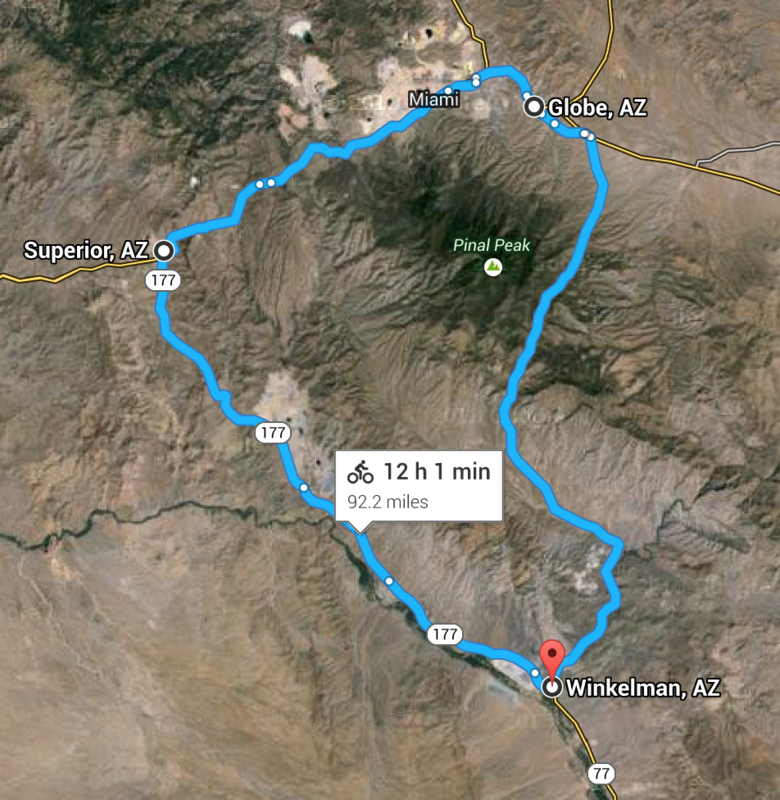 From there you have a very long, fast descent, then the last few miles into Winkelman are basically flat. Three friends and I rode this loop counter-clockwise from Winkelman on 10/29/2016, with Tanya again providing support. It’s a wonderful ride either clockwise or counter-clockwise. You start with several miles of false flats then do the big climb up to Pinal Pass / El Capitan Pass so the biggest climb is done early. The climbs to Top of the World and to End of the World are now up the shorter, easier side. 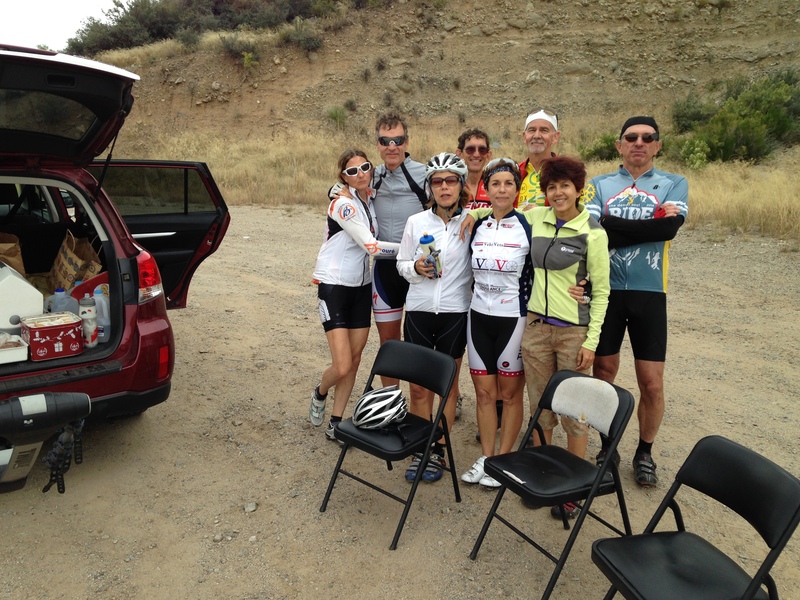 We did 3 SAG stops: at El Capitan Pass (mile 24.5), Top of the World (mile 51), and End of the World (mile 67).